I have not posted in so long, I have been away on a business trip for the last week. I missed my little blog! This is a special card, I made it for my favourite aunt who turned 70 on July 5 and hasn't been well. She is a very special lady in my life and she lives in my hometown therefore, I see her maybe once a year. I used the gorgeous Wplus9 Kind Soul stamp set, the name of that stamp was entirely appropriate and the floral is simply beautiful. 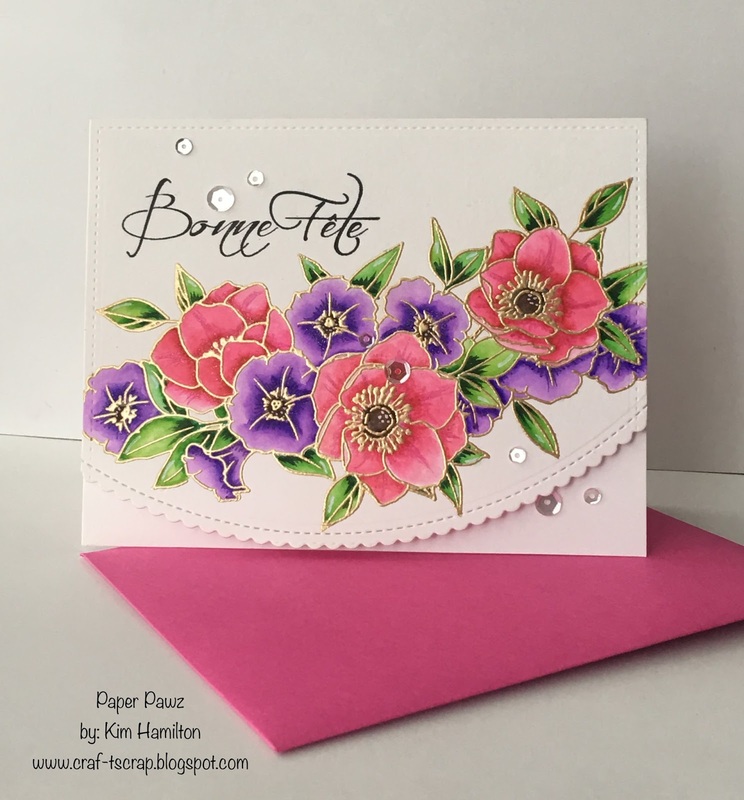 I gold embossed the stamp on Bristol paper and used my Zig Clean Color Real Brush Markers. This floral card is very much my aunt. I topped it off with a Lime Citron sentiment. My family is all french and these nice french sentiments are very hard to find. If anyone is looking, Lime Citron is a great choice and has a nice selection. I finished everything off with Pretty Pink Posh sequins!